The Spartan man was born with responsibility, they were demanded to be strong, powerful, psychically fit, and the superior of every other man not living in Sparta. Not only was the physically of a Spartan man important, they were also expected to be cunning, savvy and educated, they were expected to excel in not only the body but also the mind, and this was the key to Spartan nature. If a Spartan man played his cards right, he would become a hoplite, a fearsome but measured warrior who would have to abide by the code of Sparta. A Spartan man could not lose his temper in battle, suffer with rage, or loser his focus and risk the lives of his phalanx, it would not be tolerated by the state. While much of a Spartan man’s life would be ruled by discipline and military, there was also other options over time available to them. At age 20 the Spartan man would become a true soldier of the state. This military life would continue till the the Spartan man turned 60, although there was stages in between that were key in the life of the Spartan. After turning thirty the Spartan man become a full citizen of the might state, and as such they were granted various privileges. The newly granted status meant the Spartan man could live at his home, most of the Spartans were farmers but the helots would work the land for them. The helots are another benefits of the citizenship, each Spartiate would have their own slaves to help them with any manual work that was required. Helots would help their Spartan master with any jobs required, from farming to building, to assisting them with hunting or battle related tasks. Whatever stage of life, the Spartan man was still first and foremost a warrior. This was their life and their path, and in order to sustain this, a Spartan would not partake in manual work, this was a job for their Helots. The training would start from a young age for the Spartan man, and it would not end for him until late in loife, but this was the way for a man in Sparta. Given the warlike nature of life in ancient Sparta, it was surprising to think they even had a notion of retirement, but they truly did. If a Spartan man would live his life to the age of sixty he would be considered retired. After sixty the man would not have to perform his military duties, this meant no training, and if Sparta was currently in war, they would not be required to take part. The Gerousia was essentially a council for the Spartan state, made up from 30 members, and 28 of them had to be over 60 years old. The remaining 2 members would be the Spartan kings themself, but more importantly for a retired Spartan man there would be a possibility for him to become a Gerousia. Of course if you came from or were related to the two families of kings in ancient Sparta you had more chance of becoming a Gerousia, but in effect the opportunity was open for any Spartan man over 60 to be considered should one of the existing Gerousia pass away. 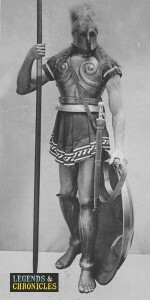 The life of a Spartan man was very defined, much of his life would be ruled by order and military regime. This however bred a strong powerful army for the state of Sparta, and with many of their life decisions removed you would expect that a Spartans man’s life was hard but never had to deal with career worries of manual labour. For farming and simple work the Spartan man had his helots to work his land and ensure his family never went hungry. 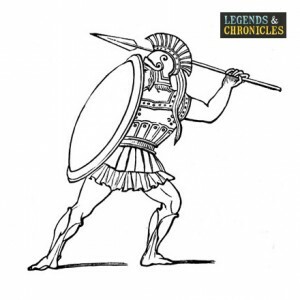 The Spartan man would have the respect of most of the ancient world, his knowledge of war and battle as good as any, and his skills typically far above average.